As the saying goes, sometimes less is more. In the case of The Economist, the breadth of articles and analysis, which have been its hallmark since it was founded in 1843, was starting to fall out of step with today’s time-crunched readers. To realign with readers who need to digest a lot of information while on the go, The Economist released a new mobile app in May that focused on heightening interest all of the content it produces. 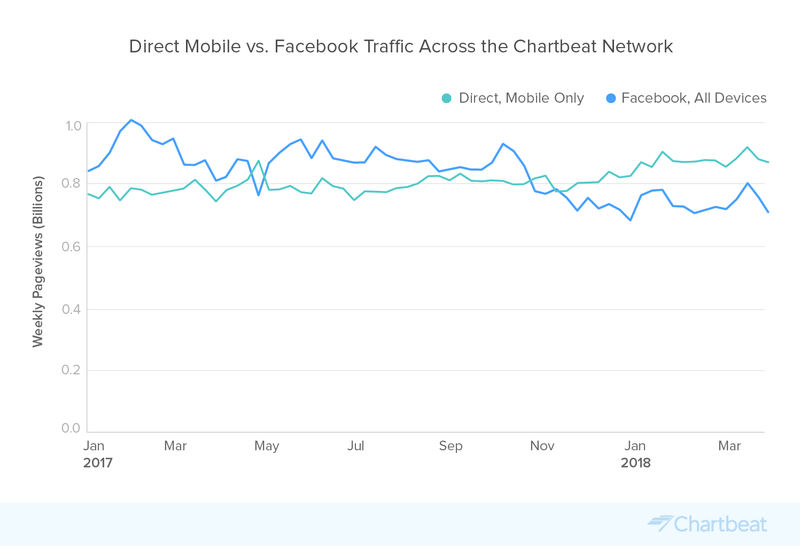 And, even more importantly, the new app was designed to demonstrate a value proposition that would help it retain, rather than overwhelm, app subscribers. The company doesn’t just rely on a better UX to help readers navigate content. The Economist app harnesses human judgment to curate content and surface interesting and relevant stories. It also introduces a welcome element of serendipity into the mix. Efforts to increase retention and become a “subscriber-first publication” are critical considering subscriptions and circulations make up the lion’s share (58%) of the Economist’s revenues and continue to grow at 21% year-on-year. 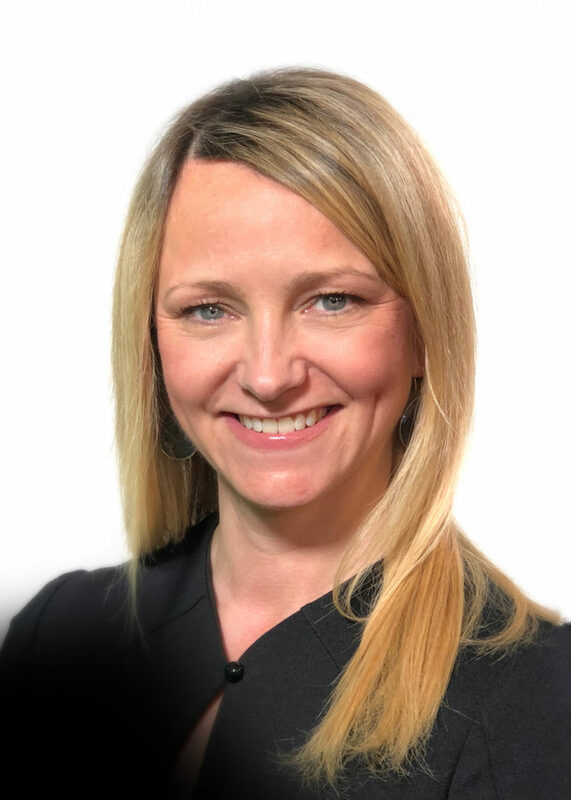 Peggy Anne Salz, mobile analyst and Content Marketing Strategist at MobileGroove, catches up with Richard Holden, Deputy Head of Product at The Economist, to discuss the role of content choice in the user experience and the value-add provided by human judgment and editorial curation. PAS: The Economist has 10 different apps in the Apple App Store. What are some of the differences in the apps and the audiences they serve? RH: When we started out, the focus was to replicate our print edition on the digital platforms in ways that our users would find useful. At the time, the answer was to produce an app that was a replacement for print and a companion to the user. Fast forward a few years, and we arrive at Espresso, our real mobile-first daily update product and a great example of what a proper app can deliver if you put the user at the center. At that time, we wanted to offer a different user experience and go beyond just providing readers a digital version of the full Economist: It made sense because this was a different audience from the users who had embraced our first app and the full print replica if offers. Economist Espresso is a morning briefing from the editors of The Economist delivered to your smartphone or inbox before breakfast telling you what’s going on in the world. PAS: Where does the new Economist app fit in that continuum? RH: As we evolved, we saw the opportunity to find new ways to offer an experience that delivers the Economist in a way that provides value, but not necessarily the full Economist experience. So, we did quite a lot of user research and developed an app that makes it possible for us to do the job that users have essentially hired us to do when they commit to a subscription. They subscribe to the Economist because they want to access and experience the breadth of what the Economist has to offer, but they don’t just want the full print edition. Following this is how we got to the user experience the new app offers. We didn’t just copy over the print edition and say ‘job done.’ Yes, the full print edition is available in the app, but it’s not the first screen we show the reader. We start by showing them what we call Daily Picks, which is where we give readers a valuable view into the breadth of what the Economist offers. PAS: It’s the “power of your editorial curation,” as you say, that adds value. Where do the stories come from and how are they chosen? RH: It’s all within the Economist, but it’s full breadth of the Economist. This means, in addition to the full print version, we pull in and publish the stories that previously were only available on our website. The editor, the curator of the day, brings this wealth of content —all Economist content — into the app. And we’re seeing that our readers appreciate the mix. They don’t subscribe to read what they already read. So, a reader in Britain might want to read everything in the Britain section as a matter of habit. Our readers don’t want to go down a singular route to read the Economist. They value curation that introduces them to stories they might not read as a rule or even know exist. RH: It’s hard to do in digital, for sure. In a magazine, people flick through and stop when a story catches their eye. It’s not as easy to do in digital. What we found in our earlier app is that there would be a considerable bias towards whatever was at the front. It was harder to get that serendipity because people had to swipe through a lot of content to get to the stuff in the back of the print edition on a mobile app. It was work, in a way, and users were taking the easy way out by reading what came first rather than swipe to the end. That’s the habit we’re breaking with the new app which is focused on removing friction and making reading an adventure again. PAS: Curation is at the core of your app experience, but it relies on human editors, not AI technology. Tell me about the user experience. RH: Our editors using their editorial judgment. When we talked to our readers, they told us they trust us to curate, and this is what they are paying for when they commit to a subscription. They want us to help them work out what’s most important or what’s most interesting, and this is what our editors do for them. That’s why we’ve chosen to use human judgment rather than go down the road of asking our reader their preferences or harness the technology to make suggestions or recommendations based on what they are reading. We did think about AI, but our research told us users expect us to curate content. Perhaps, over time, we can refine editorial curation with the help of AI, as the two aren’t mutually exclusive. It may be that we can combine human judgment with AI in a way that still makes sense for our readers. It’s a route we may want to explore in the future. But AI won’t be a replacement for human curation. Right now, curation by our editors is the way we want to go. It’s what our subscribers pay us to do for them. PAS: Beyond improving the user experience through expert curation what other innovations can we expect from the Economist? RH: To be honest, I’m less enamored around new technologies like AR and VR and more interested in using technology to reduce friction. One of the developments I’m most excited about is the password management improvement we’ll see with iOS 12. It’s perhaps not very glamorous, but it will make it easier to log in to apps with the same password you use for websites, and that is useful for our readers. As we shift from advertising, we have focused on subscription. In the future, we will be looking at commercial opportunities for the app. 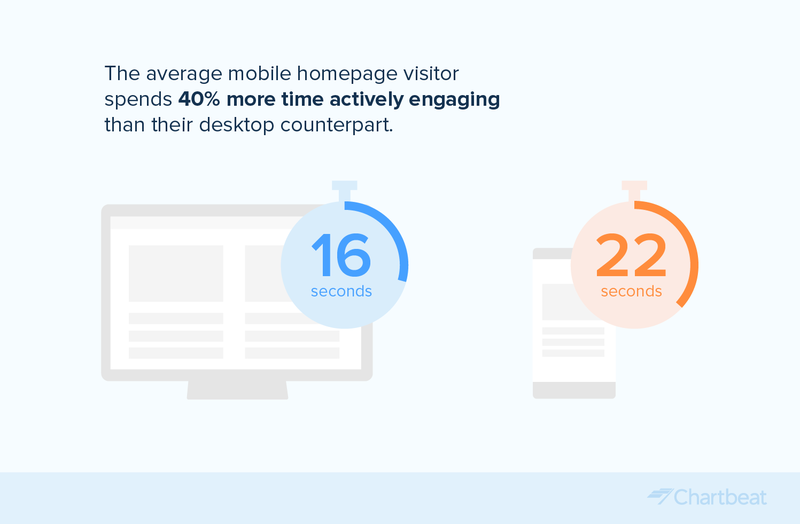 While recognizing that ads are a part of the revenue streams that we need to have as part of a business, it’s also clear the commercial experience cannot be interruptive to our readers. PAS: What’s the biggest challenge in bringing readers content from across the full breadth of your print and online assets? RH: We see that the problem our readers have quite often is managing to read all the content we offer. They find it quite hard to finish the whole thing every week. It’s a significant time commitment. And, like a gym membership, even people with the best intentions just can’t keep to the routine. People can start to feel guilty if they’ve got a pile of print editions on their coffee table unopened, or a load of bookmarks. So, rather than enjoying reading the Economist, you’ve got a situation where readers start to a bit guilty. We don’t want readers to give up; we want to make it even easier for them to get value from The Economist without feeling they have to read it all. That’s where our focus on curation comes in. It’s our service to make life less complicated and the experience more enjoyable. Moving forward, we’re not going to just add more content and make it complicated. It’s not about adding new tabs to make it tough to read. We keep it simple and surface relevant with interesting content that helps them get value out of their subscription. PAS: Maintaining a user-centric approach often requires publishers to adopt a different mindset. What advice could you offer companies based on your journey at the Economist? RH: Stay focused on your readers, not on the needs of different parts of an organization. If we’re honest, all editorial organizations struggle because different parts of the organization will always want their content to be top, front and center. If you do that, you can end up with something that’s very bloated and hard for the reader to navigate. It can be challenging to move from that mindset—thinking you know what’s best–to providing the readers what’s best for them. It requires companies to put the user first, and it requires constant testing and iteration to find out what works, rather than making assumptions about what works and what doesn’t. Americans’ changing news habits have an incredible impact on how we function as an informed society. Mobile is now the most common way US adults get news, outperforming desktop or laptop computers according to a newly released study from the Pew Research Center. 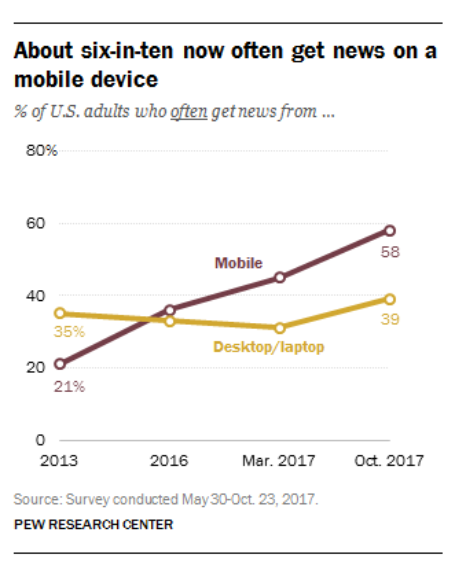 In fact, more U.S. adults report they get news on a mobile device (58%) than those who get news on a desktop or laptop computer (39%). Nearly all (96%) access news via the internet. The study is based on responses from over 5,000 adults from the Pew Research Center’s American Trends Panel, a nationally representative panel of randomly selected U.S. adults. Not surprisingly, older adults, ages 65+, are more likely to get their news on desktop than on mobile (47% vs. 37%, respectively). While younger adults, ages 18-29, are more likely to get their news on mobile than desktop (71% vs. 32%, respectively). The research also shows men (60%) often get their news on mobile more than women (56%). Interestingly, more nonwhite adults (61%) get their news on desktop versus white adults (56%). Partisanship also plays a role in mobile news use. Democrats (62%) are more-likely than Republicans (54%) to use mobile to access their news. College degree users (66%) are more likely to get their news on mobile than those without a college degree (51%). It’s important for journalists and newsrooms to keep the mobile majority in mind. They must ensure that their work is accessible through mobile devices and create an optimal user experience for these news consumers. And given that almost every reporter is likely to have a phone in hand, news organizations should be working on their mobile journalism. “Mojo” focuses on teaching reporters to produce quality articles by just using their phones. 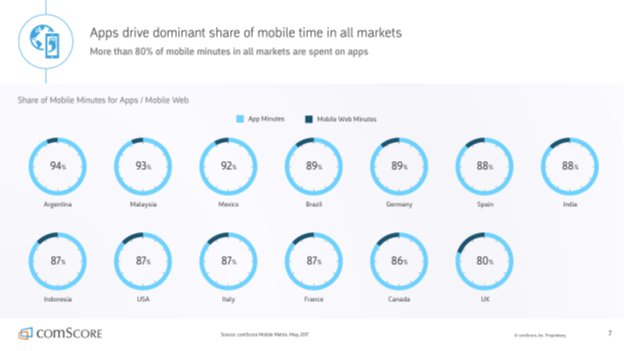 Undoubtedly, mobile offers a convenience for journalists and content consumers alike. And, given the newly minted mobile-majority, news sites need to hone their mobile skills inside and outside the newsroom. Google’s CEO Sundar Pichai kicked off last month’s Google I/O by stating that “there is more great journalism being created today than ever before.” Pichai and Trystan Upstill, Head of News Product and Engineering at Google, went on to highlight the programs and products Google was working on to help publishers sustain quality journalism. A lofty approach by a company often on the receiving end of publishers’ ire. They are making an effort, however, by doing the work and committing the resources to change the narrative. 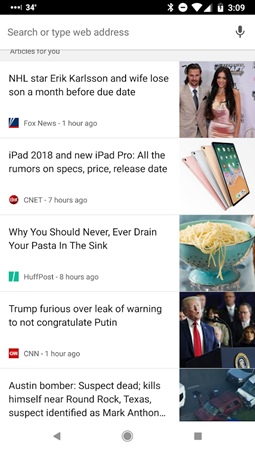 The core of Google’s strategy relies solely on the Google News app. Typically, social feeds aren’t aligned with publishers’ needs. This is because social lacks brand awareness, revenue opportunity, and data about the end audiences. 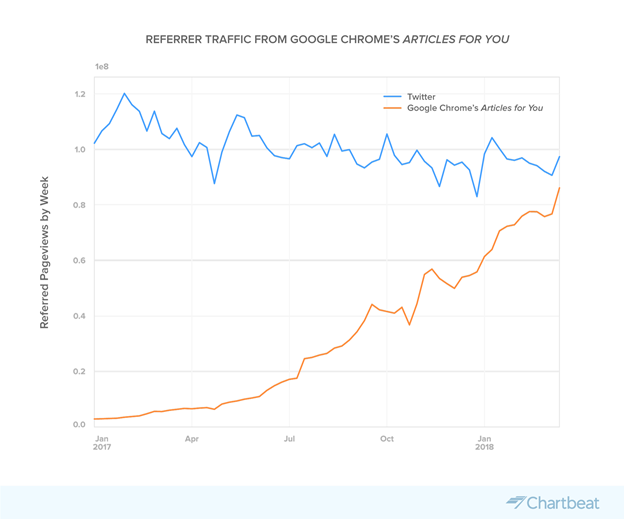 Furthermore, social feeds are often blamed for creating “filter bubbles” that negate a holistic approach to a topic and disintermediate the publisher/reader relationship. The Google News app has put some serious work into addressing some, but not all, of these concerns. Here are the top four concerns that they appropriately addressed. The “Headlines” section of the new app lets readers view what everyone else is reading. This helps address the “filter bubble” effect that comes from a 100% curated social experience. Discovery of new content from outside your social circle or creating more engaging ways to expose interesting content is critical. Our favorite geek-out feature is “Full Coverage,” which is a link placed under most news topics. Full Coverage provides multiple points of view from many different sources. As stories evolve over time, Full Coverage hosts a timeline so readers can understand the changes in the storyline. To enable Full Coverage, Google uses temporal co-locality. In layman’s terms, Google can understand the people, places and things related to a story in real-time and then package them. Even tweets, fact-checking and commonly asked questions are included in Full Coverage. At Outbrain, we applaud any effort that helps readers discover new content, and addresses publisher concerns. We aren’t ignoring the legitimate business issues publishers have with Google, but are more than willing to highlight a great product, we’re all readers at the end of the day. 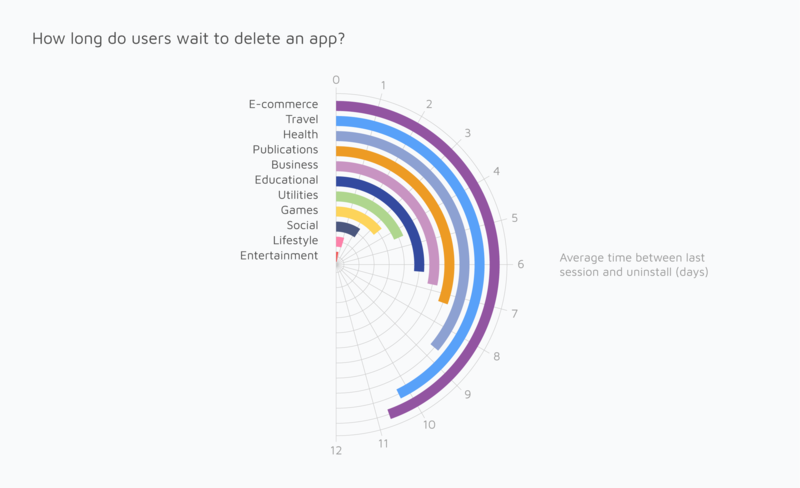 When Andrew Chen, mobile growth guru and General Partner at Andreessen Horowitz, revealed research that showed the average app mostly loses its entire user base within a few months it triggered an avalanche of interest in understanding the characteristics of an exceptional app. 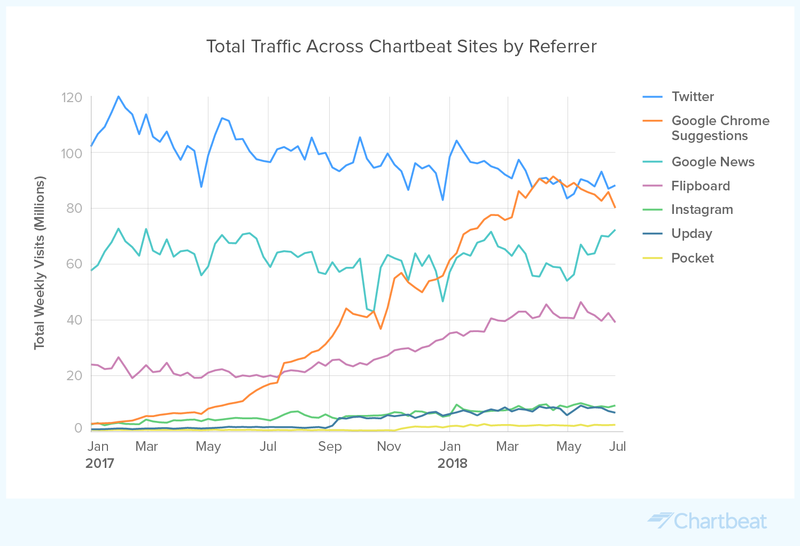 Chen suggested standout apps owe their high metrics and user appeal to efforts early in the funnel to build consumer connection and demonstrate value. He also warned that sending “spammy notifications” was a strategy sure to backfire. Fast forward, and more companies are following his advice, using notifications to enhance the app experience, not annoy app users. In a recent interview, Doug Vance, Vice President, Product Development, ABC News, discussed how the company has harnessed push notifications to help consumers personalize breaking news alerts. It’s part of a wider strategy to put consumers in control of their news experience, on smartphones and on the web. The ABC News journey to redefine the push experience started in 2016, when it made the decision to relaunch its platforms to serve a national audience with election coverage that was highly engaging and locally relevant. 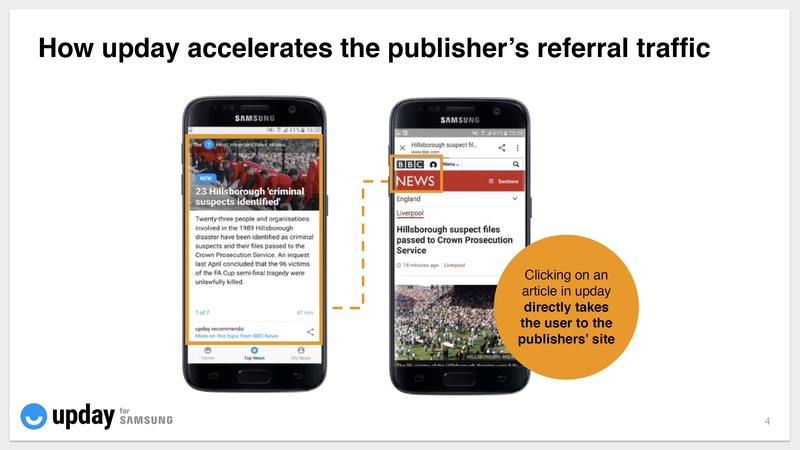 The process—segmenting the audience according to their explicit news preferences and then automating campaigns to deliver notifications that would activate, not frustrate, users–taught ABC News three key lessons around the right way to personalize push. 1. Capture audience attention with high visibility. As Vance sees it: it all starts with having a conversation with your users in a way that really “speaks” to them. Determining the news consumers want more of, or want to avoid altogether requires continuous dialog that is not limited to the times when a user opens the app. “We didn’t offer this via the app; we offered it directly within the app,” Vance recalls. To this end ABC News automated the process including questions [about user preferences] in the news feed in what the company internally called an Election Module that users would see every time they opened the app. 2. Build trust through frequent interaction and education. 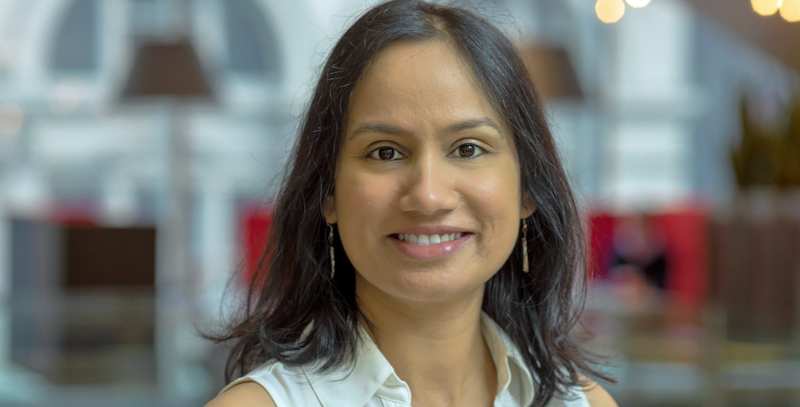 Marketing wizard Seth Godin once pointed out that frequency, familiarity and “saying it more than once” are essential to building customer relationships. The same factors are essential to powering effective push notifications. With this in mind ABC News didn’t assume consumers would jump on the opportunity to personalize their news consumption from the get-go. It reinforced this feature with frequent interactions and opportunities educating users about the “how” and “why” of volunteering information about their interests. 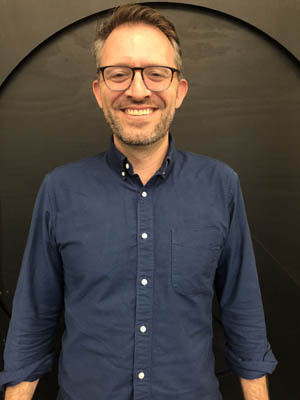 “In the summer leading up to the election, we gave users the opportunity to answer questions (about their news preferences) in the app and tell us, “Hey, look, I really love politics, so send me everything that you think is important about the election,” Vance explains. Users could also choose to receive fewer alerts, and they also had the option to ignore the question altogether and just scroll past it. The point is: users were in complete control of their experience. On election ABC News had the data to deliver users real-time results based on their explicit interests. What’s more, the 2016 election emerged as the “high-water mark” in how ABC news could deliver personalized push and engage audiences. 3. Let users fine-tune their local experience. Building on these best practices has allowed ABC News to chalk up an impressive 2 million-plus user base for push notifications in native apps. The challenge will be to grow that number and deepen engagement. This is where a multi-channel approach to user education can pay dividends. Information about the app and personalized push alerts as a value proposition figure prominently in every aspect of how ABC News interacts with its audience. During the recent Mark Zuckerberg hearings before Congress, the company cut into regularly scheduled network coverage to remind viewers that they can download the ABC News app to follow developments and get more from the story. Encouraged by engagement metrics that have in some cases doubled thanks to personalized push for news ABC News is evolving its strategy. 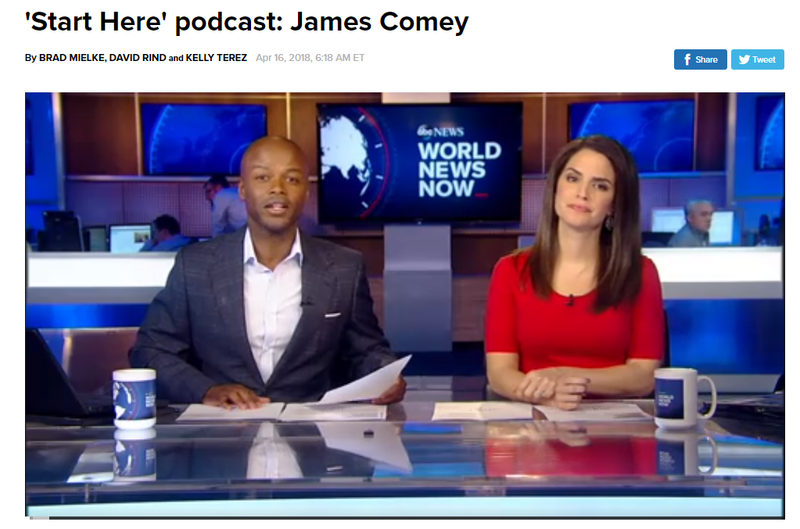 An example is Start Here, a new daily podcast where ABC News’ approach to push doesn’t just let users opt in for alerts that tell them when a new episode is published. The platform allows users to open the podcast from the in-app notification and play it right there. ABC News is also focused on doing the same for its digital originals and features brand, allowing users to set and receive an in-app notification when a new documentary is published. Push notifications are expanding in their uses and use cases. They span alerts that deliver short, relevant, time-sensitive messages, to in-app notifications that can deepen users’ engagement by removing the friction (and the clicks) that separate people from the content they love. 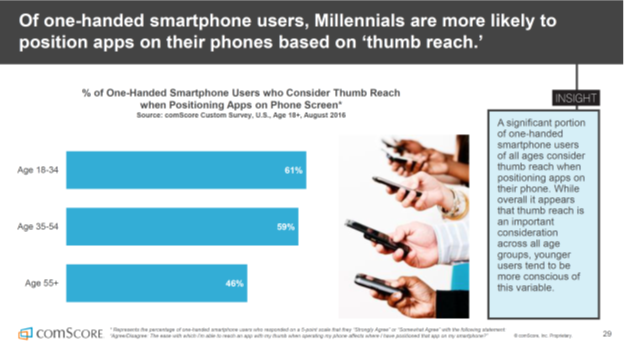 The question is not whether to use push, but rather how to prioritize and sequence push in its many forms and formats to drive app engagement, not abandonment.